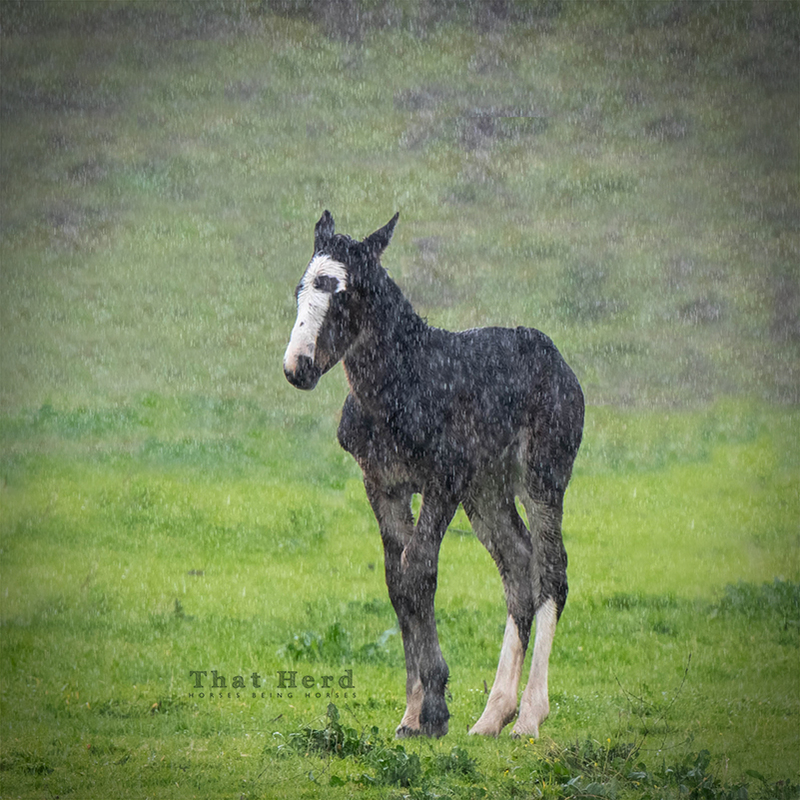 A new foal is forced to accept some really miserable weather. A new foal, only a day or two old, accepts some harsh realities about life outside the womb. Rain and wind have been a constant for her so far. At least I think it’s a filly; not acceptable weather for camera gear either.